Enjoyed another gig at Oxford's The Bullingdon last night - but firstly, I want to extend a massive thanks to anyone reading this (particularly if you read my posts regularly, the idea of which is pretty insane), I just reached 200 likes on the Facebook page for the blog (find it here) which you can like to stay up to date when I write a post. Last night was my 15th gig of the year, with Southampton lads Bel Esprit playing a headline gig with support from Elixir, homeplanetearth and Haze. First up were Haze, who might need some pointers in choosing a setlist to fit 30 minutes as half way through, they noted that they'd played most of their set. They had quite a nice vibe to open the show with, and, noting down some thoughts on my phone during the set to feel like a proper music-journo, I look back now to find little more than 'dancy', which, while it isn't really a word and doesn't help me in writing about their set - does provide a nice summary of their music and the audience's response. Adding in a track to fill up the extra time, which I'm sure was called Bent, I felt a real Arctic Monkeys sound coming through - you can listen to some of their tunes here on Soundcloud, and catch them supporting ALXNDR at the O2 in Oxford on 16th April with the second support from last night, homeplanetearth. Having been introduced to homeplanetearth through my placement at Tigmus, who they've played shows for, I was really keen to see them play live. I'd only heard the track Phat Phil (which I love and wrote about here) so I didn't really know what to expect from the set but any expectations I did have were totally surpassed, with Josephine singing some stunning lead vocals (usually takes a lot for female artists to impress me so that's probably quite a compliment!) Following on the trend Haze had set with slowing down time, they also found some extra time in their set for Josephine's brother Thomas to surprise the rest of the band with a track they hadn't planned to play. 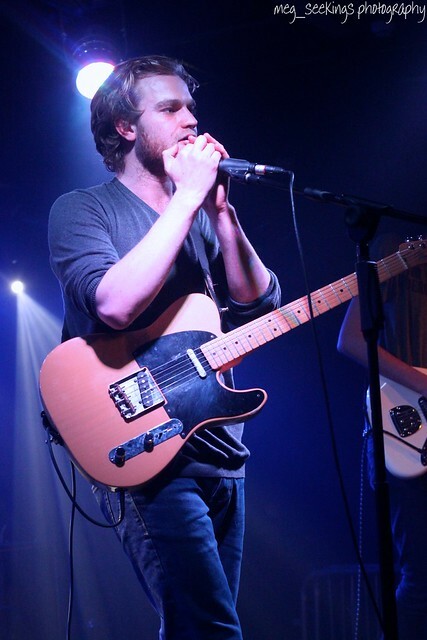 The track was a chance to hear Thomas's vocals more clearly as it opened with just his guitar and vocals, before the rest of the band joined later, and featured some beautiful harmonies with Josephine (his sister). The show's crowd were mostly friends of the four bands, and there was definitely a lot of love for homeplanetearth during their set! 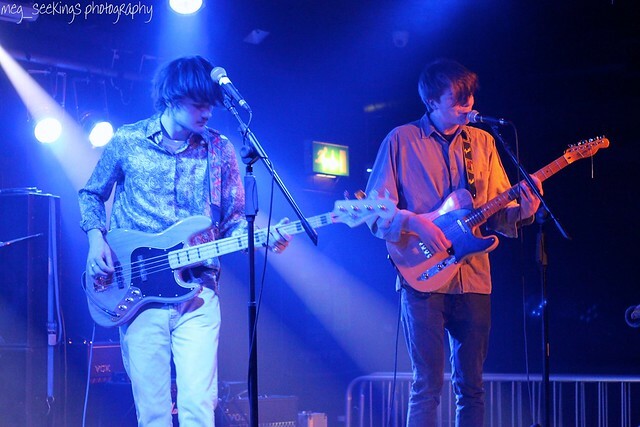 The third support set came from Elixir, who kicked off their set as they meant to go on - loudly. It was interspersed with some nice guitar solos and while the style wasn't really for me, I can't knock the confidence that was oozing off stage! 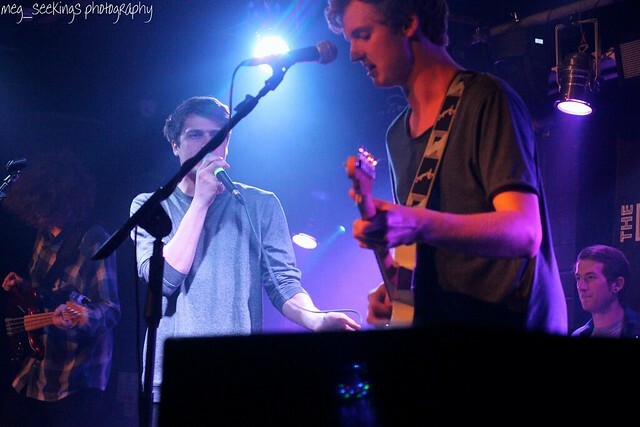 Last up, and headlining the show, were Bel Esprit. I'd seen them before at one of the first shows I went to after starting university, when I was on the door for a venue at Oxjam Festival in Oxford at the end of 2014. Since then I've been to over 80 shows so couldn't really remember what the band's sound were like (and didn't get a chance to listen to them before the show) but I really enjoyed their set! Their performance was pretty tight and the crowd were loving it, singing back the choruses to tracks such as Island, Detox and Nowhere (available to listen to through Spotify on the Lose My Mind EP.) Compared to the shows I attended at the same venue last week, the crowd was pretty small, but this didn't phase the band who performed, in my opinion, just as they might to a sold out crowd - and the audience were loving every minute, dancing in the way I usually dance in my room but couldn't bring myself to do in public. They definitely brought some fun to Oxford on a school night - a great night of music! If you like the shots I've embedded within the post, there's some more from the evening on my Flickr here. LISTEN: February 2016 playlist - my month in music! After remembering how much I enjoyed creating a playlist at the end of last year with something like 60 tracks from various artists I'd seen live, new records I'd enjoyed and music I'd rediscovered over the year, I thought I'd create one entitled Feb 2016, a little musical insight into my month. All the tracks but two (Jack Garratt and Little Brother Eli) are from bands and artists I've seen live this month and wanted to share with you all, and although I'm totally averse to Spotify and the tiny amount it pays artists, and would never use it a primary listening tool (someones got to buy physical music...) - it is pretty handy for a playlist! I didn't want to label it as a 'tracks of the month' playlist or anything, because I'm not being critical or comparing the tracks, simply sharing what I've enjoyed this month in a really personal way which I believe is in keeping with the nature of the blog itself! 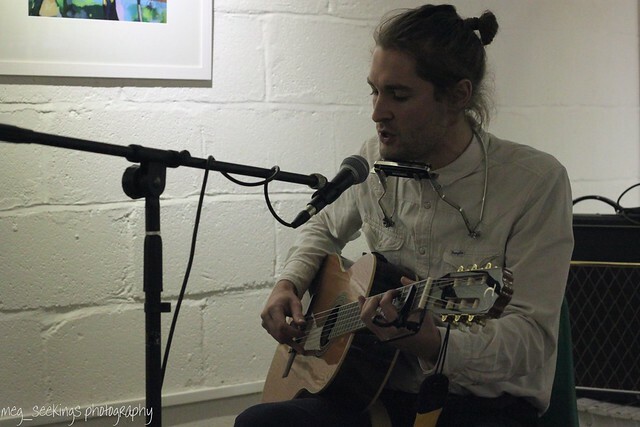 Leo Stannard 'My Friends Got Love' - having known about Leo for a while I finally caught him live this month at a Mahogany show and was taken aback by his talent. This track is my favourite track from his recently released EP Free Rein. Roberto y Juan 'I Used To Relax' - I went to see the band's EP launch mostly to check out the support set from Count Drachma aka Oli Steadman, but have been struggling to stop listening to the EP since! Little Mammoths 'Waitresses & Barmaids' - it's only February and I've already seen these guys play three times this month, the first time for almost 3 hours acoustically in a booth at a Notting Hill pub, the second at Oxford Sofar Sounds, and the last, this week, the first gig I've ever organised. Blossoms 'Blown Rose' - having not really listened to these guys until the day of the show I went along to their sold out gig at The Bullingdon in Oxford (I run the venue's Twitter so get free access). 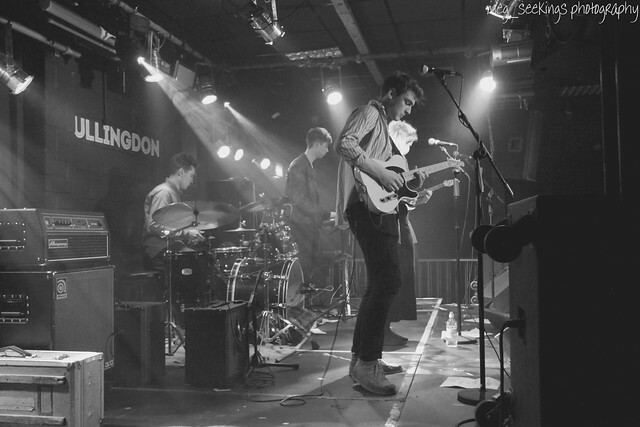 I've been hearing a lot about them and it was clear they're pretty well loved - and there was a lot of love in the room for Viola Beach too, who should've been supporting them on the tour. Sylva Kay 'The Bend' - Sylva supported at the Jonny Payne show I ran the door for in Oxford at the beginning of the month, and while I was busy with the door during her set, I caught some of her soundcheck and loved it! homeplanetearth 'Phat Phil' saw these guys last night playing a support set for Bel Esprit, and was introduced to them through my placement with Tigmus, who they're playing a few shows for. Love this debut single! Jack Garratt 'The Love You're Given' - you probably don't need me to tell you who Jack Garratt is as the man has become absolutely huge as of late with awards and nominations all over the place. This track from his debut album Phase which was out recently is the one that stuck with me after I saw him support Mumford & Sons in November. Jonny Payne & The Thunder 'Across the Brooklyn Bridge' - before running the door for Jonny's show in Oxford earlier this month I took a listen to some of his session videos online and loved this track! Roberto y Juan 'What's Your Favourite Colour?' 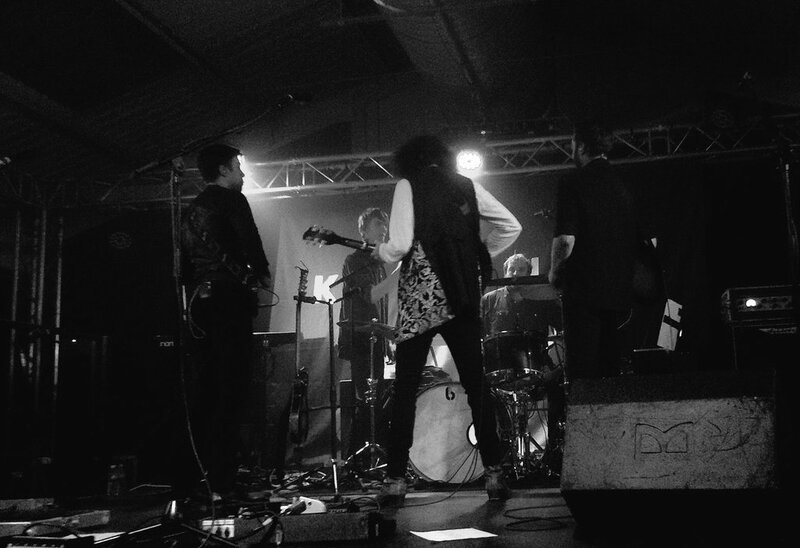 - on the band's new Monster Love EP, this is probably my favourite track - loved hearing it live again when they supported at the Little Mammoths show I organised earlier this week. Tom Figgins 'Giants Played In Woods Like These' - a couple of sessions Tom filmed with Mahogany have been uploaded this month, including this track. He played a superb set supporting Leo Stannard at his Mahogany show. Leo Stannard '19' - couldn't decide which track to share from Leo's EP and loved his show for Mahogany so much that I decided to just share two! Definitely felt like I was watching a star in the making at that show, can't wait to se where his music takes him this year. Little Mammoths 'Keep The Rounds Coming' - this track features on LM's album which is out later in the year and I've been sent to review (brilliant stuff! ), it's also pretty fitting as they're playing 20 shows in pubs around Ireland over 8 days in March (acoustic sets in the day, rock n roll at night). Ryan O'Reilly 'November - Live' - as a rule I'm usually pretty fond of the supports I've seen play with King Charles, and this months tour support was no exception (and also a very nice guy when we chatted backstage after the London show). Loved his set at both shows, particularly this track with its "you'll never change the world with your songs and your guitar, there are people half your age, and they're going twice as far" chorus, a fairly melancholic reflection on combining a relationship with a career in music. Little Brother Eli 'Who Do You' - while setting up some Facebook posts for Tigmus about an upcoming LBE show later in the year, I listened to some of their tracks - particularly some acoustic videos from various Sofar Sounds performances, and had this track stuck in my head for a while after! Eliza & The Bear 'It Gets Cold' - similarly to Blossoms (in the same weekend, in fact), I went to their gig at The Bullingdon having not really listened to them until the day - when I discovered I knew one track as it had been on an advert. Had a really fun night at the show and this track went down pretty well, as did the whole show! King Charles 'Animal Desires' - with his new album out in the last week of January ,and a tour in the middle of the month, much of my month has been spent listening to Charles so I had to finish up the playlist with him! When I saw the track listing for the record I was very happy to see this track included. If you've made it this far - I'd love to hear (either as a comment on this post, or onto my blog Facebook page or my Twitter) if you enjoyed the playlist or a specific track. If the response is good I might carry on making monthly playlists! 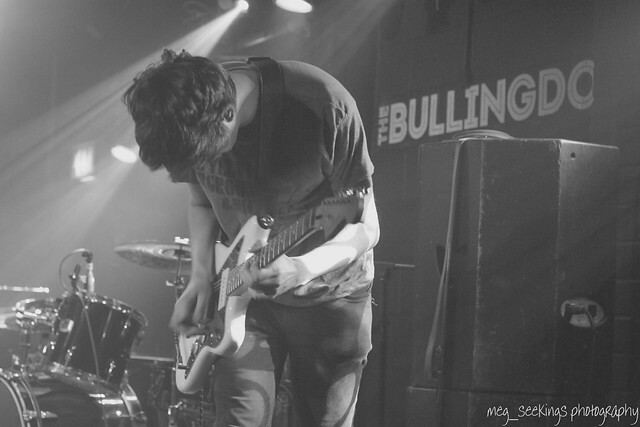 Since I started my second year at university, I've set up a new Twitter account for local music venue The Bullingdon, a perk of which is getting into all the show there for free - which became quite lucrative this weekend! 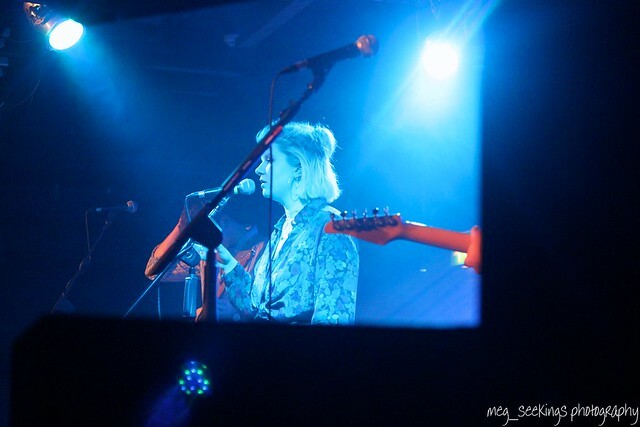 First up on Saturday was Blossoms, where the show was opened with a recorded Viola Beach set, as they should've been supporting on the night - it sounded great and was a really moving touch to the band. The Vryll Society played a great support set, and certainly set the standard for crazy hairstyles - they've just been named in Gigwise's '13 rising, underdog bands to own festival season' - so remember the name! I hadn't listened much to Blossoms before the night but had been receiving tweets all day looking for spare tickets so knew they were pretty well loved, and though their set was, understandably, fairly short, the crowd loved it. There was so much love in the room when the band dedicated the last track of their set to their friends in Viola Beach and their manager Craig Tarry. I'm loving the track Blown Rose which you can see below performed at last years SXSW for BBC Introducing. 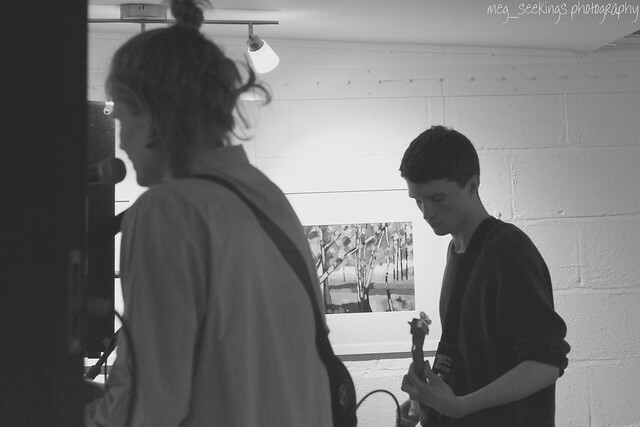 Next up, on Sunday, was Eliza & The Bear. I arrived late and missed the first support, but what I caught of Slowlights' set was fun, even if, as they said "I can guarantee none of you have ever heard of us". The show was originally meant to be at the end of January on a Saturday night and had been rescheduled to a Sunday, which happened to be the night before the school term started back up, but you wouldn't have known - the crowd were enjoying it a lot. As with Blossoms I'm not really familiar with the band's music but had been hearing about them both being played on Radio 1 and getting festival slots and the like - however I did know the below track Friends, and I'd be surprised if you hadn't heard it as it was featured on an advert for Bulmers Cider recently. With four gigs, last week was pretty great for live music and this week is looking good too - with the Little Mammoths gig I'm putting on on Wednesday which I'm very excited about, and homeplanetearth supporting a local band Bel Esprit in Oxford on Sunday night (also at The Bullingdon). 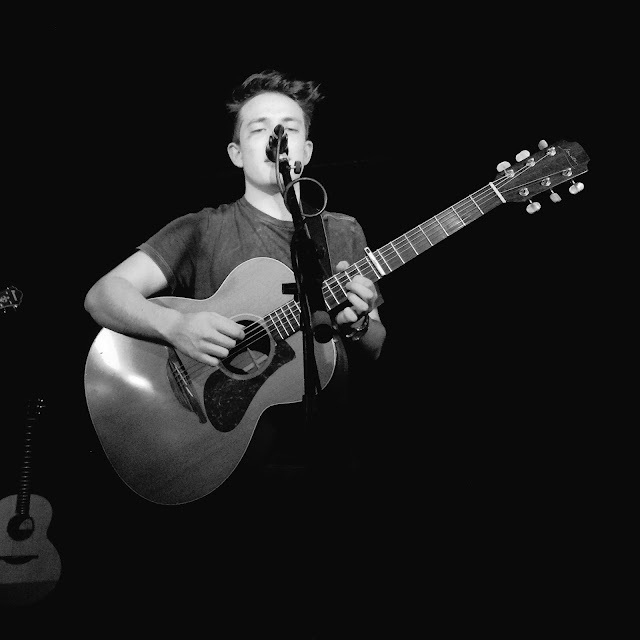 I also just won tickets to see Leo Stannard tomorrow night playing a show for Mahogany, where Tom Figgins is supporting, so I'm looking forward to that! I saw the magnificent King Charles again on Thursday night, playing the last show of his UK tour at London's Oval Space. After the superb set last Saturday in Southampton (write-up here) I had high expectations and the show was (of course!) just as good - a triumphant hometown return, even if the venue did seem to be trying to blind us with an awful lot of smoke machine action (here's what Ryan O'Reilly's support set looked like.) The show was my 12th time seeing Charles live and 10th gig of the year - and probably my favourite so far! Talking of favourites, the more I listen, the more I fall in love with Charles' record Gamble For A Rose which came out 4 weeks ago today - it's certainly got album of the year potential, so take a listen if you haven't yet! A definite highlight of the show for me is the start of the encore, with Charles returning to the stage and performing a solo version of Beating Hearts, which I got a video of last night (above). Another, far more loud and energetic highlight of the show, as I mentioned in my write-up of Southampton, is the new guitar shredding interlude of Brightest Lights, which I recorded in its beautiful 5 minute entirety and you can see here - seriously insane experiencing that live. Everyone in Charles' band and team are absolute legends and it always overwhelms me how welcoming they are towards me, so it was lovely staying around backstage at the show - even if I lost track of time and had to run for the last tube, and then, once I'd caught it, noticed my hand was somehow covered in blood (no idea?!) Bring on the next run of shows - I imagine they'll be doing a few festivals! I'd been meaning to post this new video for the title track of Baio's LP The Names but I think I was at a gig when I first saw it, and only just remembered when I was taking a listen to his album - having a fun look back at some of my favourite records from last year that I haven't listened to for a little while. The video sees him walk around areas of London dressed fairly dapper and carrying a skull - what more incentive could you need to take a watch? The tracks pretty good too. It's quite different to most of the other music I'm listening to at the moment, but I love the album and would definitely recommend giving it a try. I'm listening to try to persuade myself that I should go to his show in London a week today (25th) - it's working at the moment but I've got a gig the night before and lectures all day on Thurs, making getting to London on time difficult! Dates and tickets for Baio's upcoming European shows are on his site here. Really enjoyed Ryan O'Reilly's support set at the King Charles show on Saturday night in Southampton. After a bit of confusion over the door times a lot of us were waiting for quite a while so after the wait in the venue Ryan's set was a welcome surprise - and I wasn't the only one loving it, the whole crowd were applauding really loudly. That might've been helped along by the fact that Ryan told anecdotes of his youth in Southampton! A highlight of his set was a funny track called Your New Man which, he explained, is about stalking your ex and their new partner on Facebook. The lyrics (as you'll hear if you watch the session performance above) were pretty amusing and it went down a treat! Looking forward to seeing Ryan again on Thursday at Charles' London show. Last night saw my 8th gig of the year - the first of which I've paid for, in fact... totally worth every penny. As it was the third night of the King Charles tour, I'd seen some great tweets above the previous two shows in Manchester and Sheffield, and was quite excited to see the new live set. Support came from Ryan O'Reilly, whose set I loved - I'll share a session video of him tomorrow! Having seen Charles and his band 6 times last year, the new songs were all cemented in my brain but this was the first show I've seen since the release of his second record, Gamble For A Rose, so to hear other people singing the new songs was pretty fun. The crowd were fairly vocal and a highlight of the night was when Charles returned to the stage for an encore, starting with a solo performance of first album track Beating Hearts - hearing the whole room sing the lyrics back to Charles had me on the verge of tears! One track I was eagerly anticipating was New Orleans, the only track off of the new album which I hadn't heard before either live or on a session video. I love the album version and was interested to see what the live performance of the track would be like, I've posted a video of the track here. After this finished they performed St Peter's Gate so I carried on filming (video below), the track was a bonus acoustic track on the last album, but there's a revamped full-band version on the new record so it was the first time seeing the track performed this way, and I loved it! Probably the highlight of the whole show however, which can't escape mention, was the extended version of first album track Brightest Lights, which is something like 9 minutes long. There's an interlude of guitar shredding which created an incredible atmosphere. Sometimes when that kind of thing happens it can feel like the band is dragging out a track unnecessarily, but it glued together so well and blew me away entirely. A snippet of it is below..
Basically - I could go and see Charles and his band live all the time and not get bored. Last night was such a fun show and I can't wait to see the guys again on Thursday in London. It's so great to see Charles loving the shows as much as he seems to be too, and that really reflects in the crowd's enjoyment of the show! Also I've got to mention this product, earplugs from Alpine Hearing - as I go to so many shows I decided getting some earplugs was probably a good decision to protect my hearing, and last night was the first big show where I've used them. Taking them out during a track makes it so clear how much of a difference they make, and makes it actually worrying quite how loud a show can be, particularly when you're at the front. It was the first time I'd used them for a show where I was seeing a favourite band of mine, and while you might worry that they'd affect your enjoyment by changing the sound, by reducing the noise of people talking around you etc (and a bunch of technical stuff I won't pretend to understand) they actually make the music clearer to an extent. I definitely recommend looking for a pair of earplugs if you get to a lot of shows like I do! As part of my degree, I'm completing a placement this semester with Tigmus (This Is Good Music), a gig company co-founded by Oli from Stornoway. I'm really enjoying it so far and have been working on various promotional and admin tasks for shows. 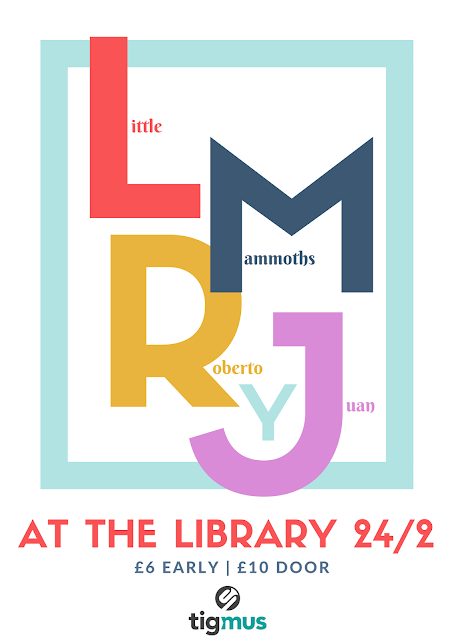 I'm so excited to announce that I've booked a show myself - I'm bringing rock n roll band Little Mammoths to Cowley Road's The Library for their first ever Oxford gig. You may have seen my posts about them before - they're fronted by the bassist of Noah & The Whale, Matt Owens, and they're going on a UK tour with a hometown show at London's Cargo on the 18th Feb to play tracks from their upcoming album. Support for the show comes from Roberto y Juan - loved their EP launch last week so much that I asked them to support and I am very much looking forward to seeing them again. Read my post about that show here - I can't stop listening to the Monster Love EP itself, some of the best new music I've heard so far this year. Advance tickets for the show are £6 through Tigmus here, or its £10 on the door. I would love to see some of you there supporting the bands (and me, in a way!) - it's going to be a great show! If you want to see Charles live, he's playing a UK tour which kicks off in a couple of days in Manchester, and finishes up at London's Oval Space on the 18th, taking in Sheffield, Bristol, Leeds and more in between. The full band set up live never ceases to amaze me, I saw the guys play six times last year and could probably never get bored of seeing them! Support for the tour comes from Ryan O'Reilly, check out the video for his track Northern Lights. Tickets and the rest of the dates are here. Having just returned to university I've been a little busy (though not with uni work yet as I've only had one lecture - have been to 3 gigs and play this week and started a placement with the lovely folks at Tigmus) - I've been out of the flat a lot since I got back so haven't had a chance to share anything on here, but I'm just catching up with some new videos. I recently shared another video of Tom Figgins playing the very same track, but I can't resist sharing this Ont Sofa' session of performance of Giants Played In Woods Like These. Having seem Tom live a few times over the past year I'm really fond of his music and love this track - and this is a beautifully filmed session!